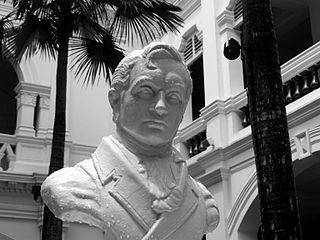 6 February 1819 – Thomas Stamford Raffles founded Singapore, continuing a long tradition of the English craze for islands. 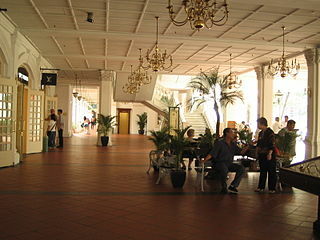 His short and fairly honourable life is commemorated in the form of that wonderful colonial edifice, Raffles Hotel. The grand relic is a welcome piece of high colonial style amid the relentless humidity, the pungent aroma of durians, the post-modern Singapore of Orchard Road, ‘Planet Hollywood’, ‘Starbucks,’ a Marriott done-up as a thirty-storey pagoda, the clean and un-cerebral Sentosa Island, the welcoming hands of merchants just waiting to grab you and drag you into their shop on Temple Street, the junk rides through the liquid heat, and the intellectually ‘de-loused’ Bugis Street. 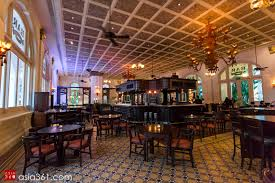 The famous Long Bar at Raffles, with its motorised wooden slats and fans moving the heavy air around and tourists hurling peanut shells on the floor akin to a barnyard hoedown, we can take or leave. 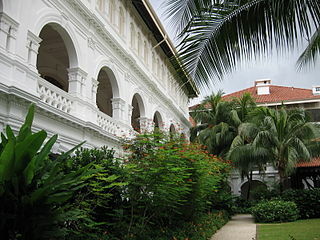 And the same goes for a $30 ‘Singapore Sling’, although as the holder of copyright in that drink, the Hotel arguably earned it. The Varnished Culture prefers the Tiger Bar and old billiards room, where a tiger wandered in to general consternation in 1902. A ‘Tiger Lily’ or two is no longer prominent but they can whip one up if you so request.